Gujarat University has announced a course on spoken Sanskrit in order to popularise the ancient language, making it possibly the first course of its kind in the country. 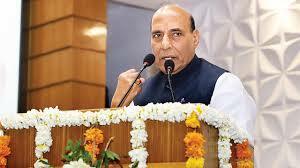 Rajnath Singh launched the university’s Centre for Spoken Sanskrit which will offer a six-month course for people on how to speak the language. The fees have been fixed at Rs 500. India and the United Arab Emirates on February 10, 2018 signed five Memorandum of Understanding in key areas during PM Narendra Modi's visit to Abu Dhabi. The MoUs were signed in the presence of PM Modi, Crown Prince of Abu Dhabi HH Sheikh Mohammed bin and Deputy Supreme Commander of the UAE Armed Forces Zayed Al Nahyan at the Presidential Palace, Abu Dhabi. The MoUs were signed in key areas of energy sector, railways, manpower and financial services. India and the Gulf state of Oman have signed 8 MoUs to strengthen cooperation in areas such as health, tourism, outer space and defence. The agreements were inked during Indian PM Narendra Modi’s visit to the Gulf nation. India’s financial capital Mumbai, with a total wealth of USD 950 billion, has been named among the top 15 wealthiest cities globally, while New York topped the list according to a report by New World Wealth. Total wealth, refers to the private wealth held by all the individuals living in each city. It includes all their assets (property, cash, equities, business interests) less any liabilities. Government funds are excluded from the figures. The city is home to 28 billionaires, individuals with USD 1 billion or more in net assets. London ranked second in the list with USD 2.7 trillion, followed by Tokyo (USD 2.5 trillion), and San Francisco Bay area (USD 2.3 trillion). Prime Minister Narendra Modi today officially launched a project for the construction of the first Hindu temple in Abu Dhabi. 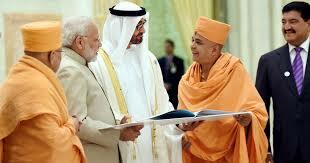 Modi laid the foundation stone for the BAPS Swaminarayan temple via video conferencing from the Dubai Opera House. The first Hindu temple in Abu Dhabi being built on a generous gift of land by the Crown Prince of Abu Dhabi. The temple will come up on 55,000 square metres of land. t will be completed by 2020, and open to people of all religious backgrounds. It will replicate the BAPS temple in New Delhi and the one under construction in New Jersey. 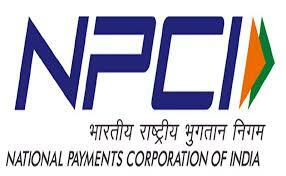 The National Payments Corporation of India (NPCI) has appointed Biswamohan Mahapatra as non-executive chairman of the board for a period of two years, with effect from February 8, 2018. Mahapatra replaces B Sambamurthy, who has been the interim chairman. Last month NPCI had appointed Dilip Asbe as its managing director and CEO. 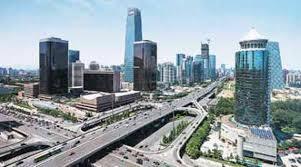 The Centre Government has released nearly Rs 9,940 crore to the states so far for the Smart Cities Mission, with Maharashtra accounting for the highest amount of Rs 1,378 crore, followed by Madhya Pradesh getting Rs 984 crore, according to government data. The total proposed investment in these cities was Rs 2.03 lakh crore. RJ Nadkarni, VSM, Chief of Staff, Headquarters, Southern Naval Command has inaugurated the ‘Integrated Automatic Aviation Meteorological System (IAAMS)’ at INS Garuda on 09 February 2018. 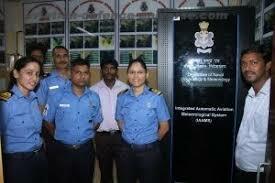 INS Garuda is the fourth air station to have been installed with this integrated system. IAAMS is an ambitious project of the Indian Navy to modernise the Meteorological infrastructure of the nine Naval Air Stations. The system can also provide automatic dissemination of routine weather reports of the air station as per World Meteorological Organization (WMO) standards to other Air Stations and to ATC tower without human intervention. 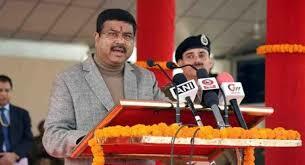 Union Minister for Petroleum and Natural Gas; Skill Development & Entrepreneurship, Shri Dharmendra Pradhan has inaugurated the PNG supply to kitchens in the Campus of Border Security Force (BSF), located in Chhwala in South West Delhi. All houses inside BSF Chhawla camp have been provided PNG connections. The connections would subsequently also be provided to the flats under final stages of construction and renovation. 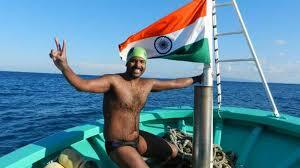 Pune-based swimmer, Rohan More has become the first Asian as well as the first Indian to swim across the Ocean Seven. Rohan is the youngest person in the world to swim across the Ocean Seven. The Ocean's Seven marathon consists of seven long-distance open-water swims, which includes the North Channel, the Cook Strait, the Molokai Channel, the English Channel, the Catalina Channel, the Tsugaru Strait and the Strait of Gibraltar. He is a national figure and has received the Tenzing Norgay Award from the Indian Ministry of Youth Affairs and Sports. The award, also known as the National Adventure Award, was presented by President Ram Nath Kovind. 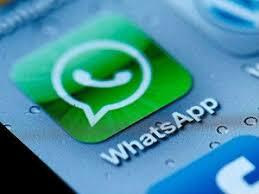 WhatsApp has released a payment-enabled beta version of its messaging app in India. .The beta has been released to some users, sparking social media chatter. The exercise is being undertaken in partnership with the National Payments Corporation of India, the umbrella body for digital payments. UPI transaction volumes are expected to get a boost, with WhatsApp following Google Tez and Paytm.